NOTE: Yesterday, the Young Adult community lost one of our own, L.K. Madigan. I did not know her personally, but know many who did. Here's a blog post from her agent, Jennifer Laughran, with more information. L.K. Madigan, you will be missed. 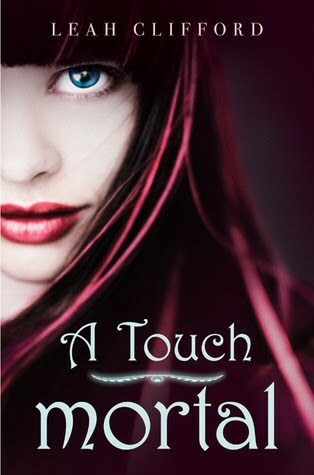 About A TOUCH MORTAL: Eden didn't expect Az. About Leah: Leah Clifford has been an extreme cave tour guide, a camp counselor, a flight attendant, a pizza delivery girl, a waitress, and a grocery store clerk. Now she adds author to that list. She lives outside Cleveland, Ohio. This is her first book. 1. This is not your average angel book. 2. The world building is crazy like WHOA. 3. Third-person narrative. GOOD GRIEF, I miss third-person narrative. 4. I've found lately that I really enjoy writers who throw me into their book worlds without a lot of explanation. It assumes that I'm a smart reader, and that I'll hang with a story until I figure it out. (Other examples are the Cynthia Leitich Smith angel/vamp trilogy and the Carrie Ryan zombie trilogy.) A TOUCH MORTAL achieves this. 5. Honesty with the darker themes. The willingness to "go there." 6. A large cast of characters. Third-person narration was necessary, and I admire anyone who's willing to take on more than one character's direct story. 7. Hot boys. This always seems to pop up on my lists, and it is PERFECTLY FINE. 8. If you like angels, you should read it. If you don't like angels, you should read it. Win/win. So sad to hear about L.K.Madigan. My thoughts are with her family and friends. 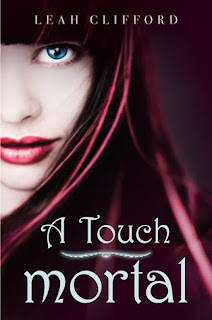 I can't wait to read A TOUCH MORTAL. I ordered it a few days ago, but I'm waiting on the slow post. This book was riveting, right? Leah is a fearless writer. My heart goes out to LK's family and friends. It's a tragic loss. It's not often you see third person in YA. An intriguing approach, which makes sense with a large number of characters. Looking forward to reading it. Just started this yesterday, and I can't wait to read more. I was sorry to hear about Lisa, even though I wasn't lucky enough to meet her. But she left behind a legacy in her books. I can't wait to get Leah's book! I like hot boys and angels and all kinds of everything this book is. I must go buy it this weekend. Your review did a great job making me want to read this book even more. Nice!